You made New Super Luigi U based on New Super Mario Bros. U. What differences in gameplay arose? 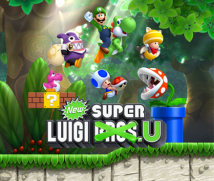 New Super Mario Bros. U is in the vein of games so far in the series, so you can really cruise along, but New Super Luigi U has some pretty challenging obstacles. More so than New Super Mario Bros. U? Yes. We had some people actually play it to promote the game within the company, and it was before final adjustments, so it was pretty challenging, and one person kept messing up at the fort on the first World. I had work to do, so I left for a bit, but when I came back, he had cleared it and looked very satisfied. I had him show me how many times he had continued, and it was 20! Usually, you would lose heart after about five times. Yes. But as mentioned earlier, we made the courses short, so I realised then that it was ideal for playing repeatedly. And there’s a team of veteran employees at Nintendo who evaluate games by placing themselves in the shoes of gamers who are beginners or aren’t very good at games. Right. We have to understand how all sorts of people feel, so it’s a group composed of people who weren’t originally very good at video games. One person on that team couldn’t clear New Super Mario Bros. U no matter what, but said he could complete this one. It may be rude to say this, but I didn’t expect anyone on that team to be able to play it all the way through. It turned out to be the kind of game that even people who aren’t great at video games will be able to clear if they repeatedly challenge themselves. I feel like maintaining a desire to try again is incredibly important for the Super Mario series. I think making people think, “I’ll get it soon,” or, “As I play, I’m slowly making progress,” or, “I went wrong, but it was my mistake,” is an important element for determining whether a Super Mario game really is a Super Mario game. That’s right. So this time, the bar is higher, but I think we brought the courses together at just the right length for maintaining the right tension. So even if you go wrong, you’ll feel like you’ve almost got it and try it again. Usually, if you increase the difficulty, some people will think it’s impossible for them. But this time, the courses are just the right length, so it’s all right even at a higher difficulty. And this time, you have to clear each of the 82 remade courses in 100 counts of the timer. That was originally a rule we set as a guideline for those making the courses. Ah, each person has their own idea of what “short” feels like. Right. So we had them make the courses under the strict guideline of completion in 100 counts. It’s interesting how what started as a guideline for the developers remained as a rule for players. We thought keeping that restriction would make it easy for the players to get a sense of the course. For example, if you’re struggling with ten counts to go, you know you’re almost to the goal. Right. You want to try again. But it was made with a 100-count restriction, so some courses arose that could only barely be cleared. Sometimes that’s good for keeping tension at the right level, but if they were all that way, it wouldn’t be so good. You’re very familiar with it. I suppose you didn’t want to chip away at the courses any more that late in the process. Doubling it would make the courses drag. Right. One hundred was the right place to stop. If you kept it tight, the average person wouldn’t be able to do it, so at the end, you decided to loosen it up a bit. 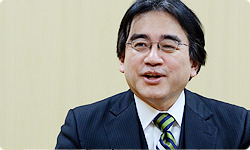 Each count in a lot of the Super Mario games is actually fairly shorter than a full second, but I told Tezuka-san when we were making adjustments that it was also possible to make each count about one second rather than changing the courses. I think that made it much easier to play. We had lots of in-house people play it and tell us what they thought, and a lot of people said that while it was hard at first and they thought they couldn’t do it, they came to realise it was fun to play over and over. Even if you go wrong at a difficult spot, you feel like giving it another shot. Why do you think that is? More than anything, I think it’s the shorter courses. But when they hear that the courses are shorter, the players may feel like the volume has decreased and they’re missing out. Yes, but while the courses are shorter, they’re packed solid – to the point that I’d like to have the Super Mario series go back to courses of this size. Hmm. So making this game led to a rediscovery of what’s good about dense, short courses. Yes. But of course, it depends on the specific game’s play experiences, and long ones are good sometimes. But you like short ones, too.